Charlottesville, VA — The Festy Experience is excited about “The eTown Stage,” a new partnership with eTown, a nationally syndicated non­profit radio broadcast/podcast focused on educating and entertaining diverse audiences through music and conversation in order to create a socially responsible and environmentally sustainable world. 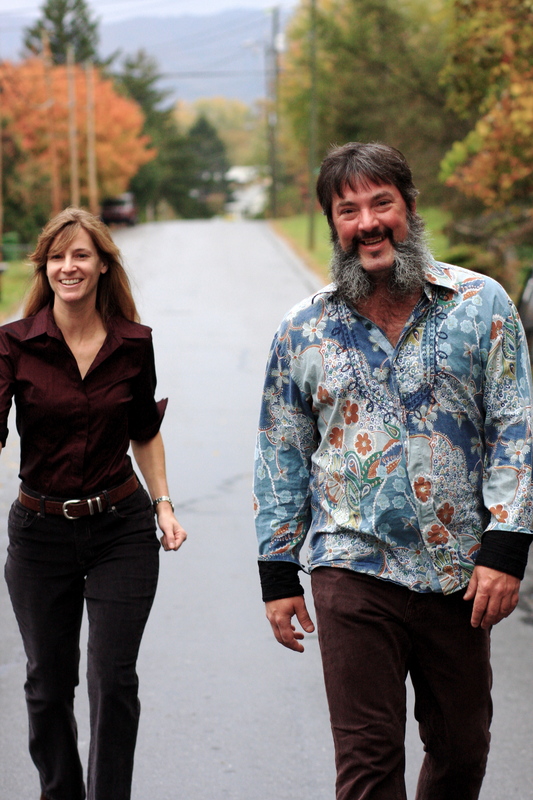 For over 25 years, eTown’s Nick & Helen Forster have produced musical, social, and environmental programming to uplift and inspire listeners around the world. eTown listeners come for the music… and stay for the message. Their social and environmental focus makes eTown a perfect fit to host The eTown Stage, a third stage premiering at The 8th Annual Festy Experience. Throughout the weekend, eTown co-­host Nick Forster and acclaimed banjo bellwether Danny Barnes will present “Almost eTown,” a series of 30 ­minute conversational performances. Danny Barnes & Nick Forster will also be featured with their full band on The Skyline Tent Stage on Thursday night. Almost eTown will consist of shorts sets and interviews with artists already performing at The 8th Annual Festy Experience which takes place October 5-8, 2017 in the Blue Ridge Bowl at Infinity Downs Farm, a 387-acre property in Arrington, Virginia at the foothills of the Blue Ridge Mountains. This year’s full festival lineup includes The Infamous Stringdusters, Ani DiFranco, Drive-By Truckers, Elephant Revival, Sam Bush Band, Beats Antique, The Jerry Douglas Band, Joan Osborne performing the songs of Bob Dylan, and lots more. In addition to Almost eTown, The eTown Stage will be home to family yoga, local artist performances, and workshops. The Festy aims to give the ultimate laid back festival experience which is fun for the entire family: camping, outdoor activities, craft food and beer, the 22nd Annual Blue Ridge Burn (5k/10k), and stellar music on three stages! See the full schedule for each stage → www.thefesty.com/lineup-by-day. The Festy is also excited to host the Chickapig Farm! Chickapig is a new strategic and fun board game created in Charlottesville. 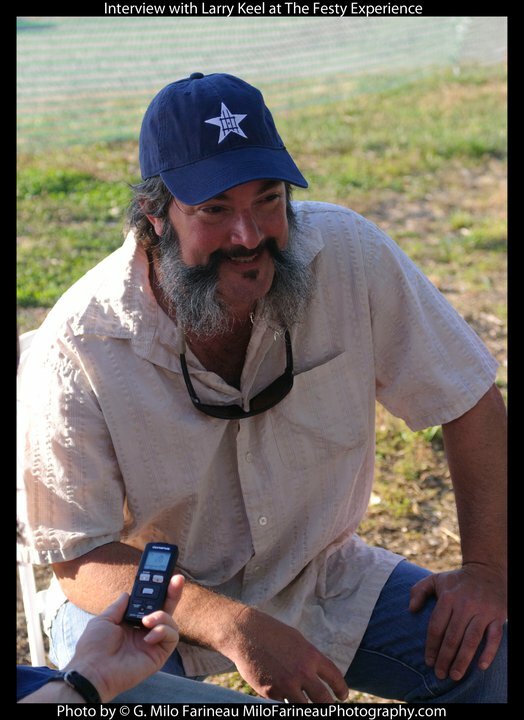 Chickapig breeder and game creator (and luthier) Brian Calhoun joined forces with his farming buddy and musician, Dave Matthews, to bring this game from farm to table where players dodge opponents, hay bales, and an unruly pooping cow. There will be games to play on site as well as a life sized version! When asked about the noticeable absence of a banjo in the group, Larry explained: “We had our banjo player for a while, he’s out in Colorado now, he’s restarted up his old band and we’re back to our trio that we’ve had for 10 years, and that’s our core part of the band but we have a few very special guests we like to bring in to make it a quartet. Today it was Nate Leath on the fiddle, which, he’s as great fiddler player as there is, really. 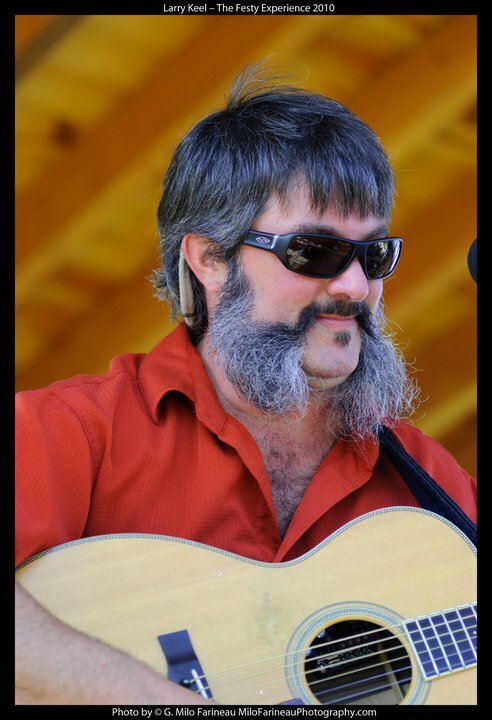 We have quite a few special guests we like to get out, like Will Lee on the 5 string banjo, he’s a master and a wonderful singer too. We sort of switch it up, have trios, have a banjo or a fiddle, we like to mix it up. And I think our audience likes that. It keeps it fresh for them and it keeps it fresh for us. Check out this great article about the inaugural Infamous Stringdusters Festival, The Festy, that took place this past weekend in Nelson County, VA. Diane Wildman Farineau is the author and Milo Farineau is the photographer that took this amazing shot! The two of them have joined forces with Chester Simpson Photography and are working on a book called, The Festival Project to document the music festival lifestyle and to chronicle all types of music festivals, with an emphasis on the revival of bluegrass music... Also click here for Diane’s complete interview with Larry Keel and Natural Bridge at the Festy! Incredible music, a breathtaking venue and promotional visionaries got married about a year ago and gave birth to a baby this weekend and its name is The Festy. The first cries issued forth from this newborn on Saturday, October 9th on the double stages in front of the Devil’s Backbone Brewing Company, in beautiful Nelson County, Virginia were soft and sweet, with performances by Sarah Siskind, Robinella and Crooked Still, but as the evening and weekend progressed, the cries turned lusty and ferocious culminating with stage thumping and fist pumping performances by the Infamous Stringdusters (the event’s curators and hosts) and Railroad Earth. More than just a concert, the Festy was designed as a lifestyle, wellness and music experience. In addition to music, the event hosted both a trail running and mountain bike race on the two mornings. Yoga classes were free and available to all participants. A climbing wall, massage therapists, a host of food and beverage vendors, instrument workshops and educational workshops on environmental sustainability were all in the mix. “What we’re doing here” said Michael Allenby, (owner of The Artist Farm, and event co-producer) “is creating an experience for people who love the outdoor culture.” Said Devils Backbone Brewing Company owner and venue developer, Steve Crandall, “we’ve done a lot of work to point event participants in the direction of local resources here, we’re about creating sustainability.” With crisp fall weather and access to hiking and biking trails, participants took full advantage of what the area had to offer. “People come to this area and fall in love with it instantaneously, we can’t manufacture or fabricate any of these mountains around us, that’s their dream, the Blue Ridge Mountains, when folks pull in here…..it’s overwhelming ” said the event’s production company, Cerberus’s co-owner, Justin Billcheck. Great time, great music, great location, this nascent event just knocked it right out of the park. Go ahead and mark your calendars, this baby will turn one next year on October 8 & 9, 2011 and that’s going to be a birthday party no one should miss! 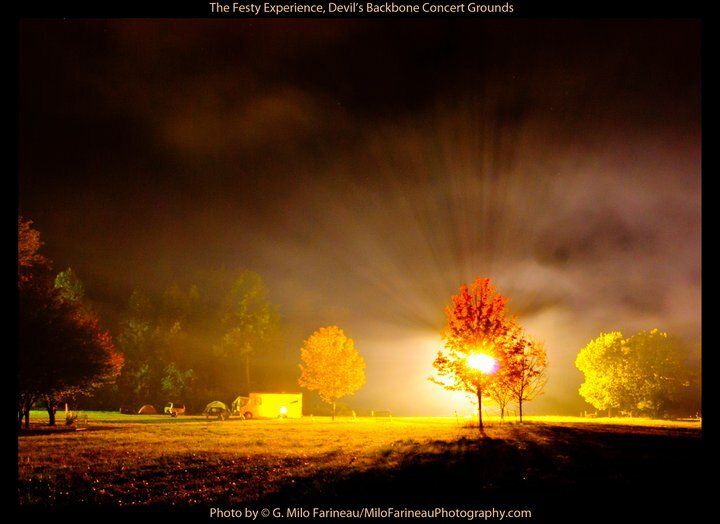 Click here for the post on the Bluegrass Blog with more photos from Milo and here for photos from the Festy staff photog Tom Daly.